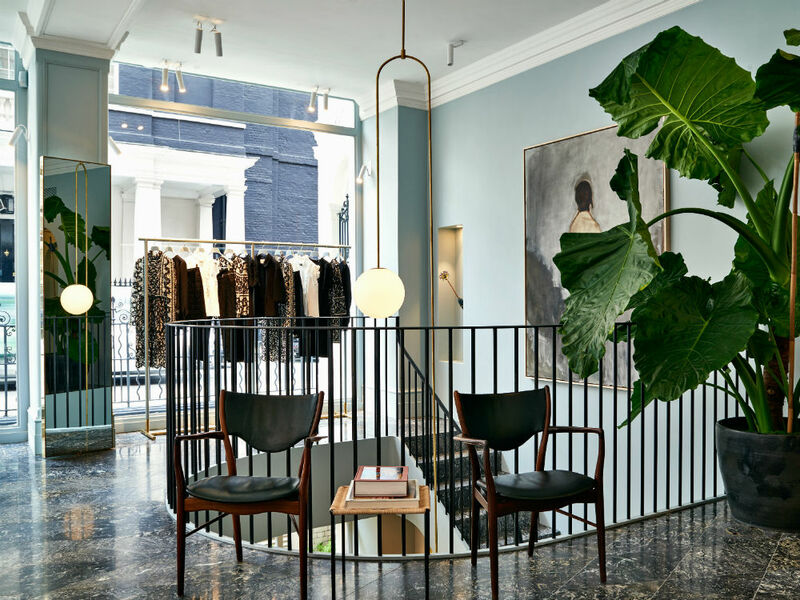 With the brand’s tenth birthday underway, two collections to produce and show and his first flagship store opening in London’s swanky Mayfair last night, it’s fair to say that designer Erdem Moralioglu has had a pretty busy year. With a sweeping staircase, velvet sofas and roll-on-the-floor carpets downstairs, the space is more homely than retail. We’re just about ready to move in. 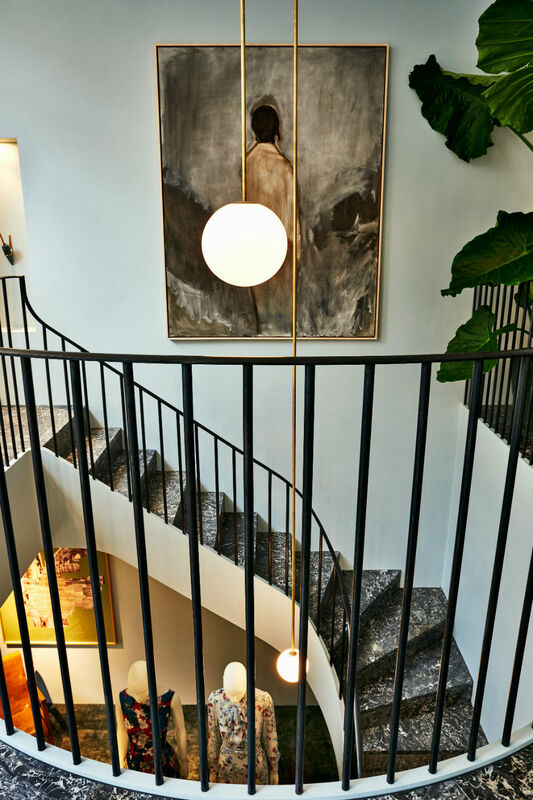 Take a peek into the life of the designer by perusing Erdem’s private book collection while being surrounded by art from the designer’s own home including drawings by Andy Warhol, David Hockney and Jean Cocteau. 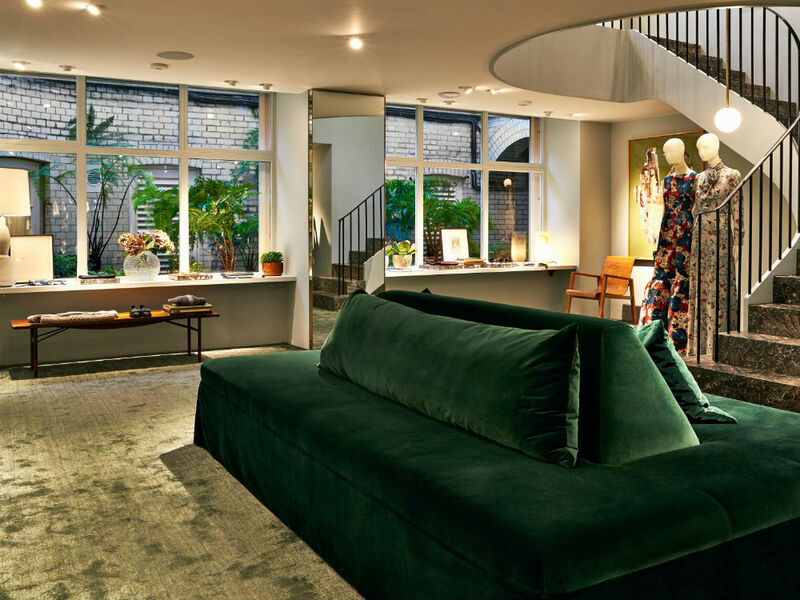 Taking up residence in one of London’s best and most sought after postcodes, Erdem’s neighbours include Simone Rocha, Thomas Goode and Christopher Kane (Erdem and Chrisopher are good friends, not only did he attend last night’s party they also shared a house in Mykonos this summer). We suggest heading to the Connaught for a drink pre-shopping to lubricate yourself… and your wallet. The celebrity following speaks volumesSince launching his eponymous brand in 2005, Erdem’s designs have garnered quite the celeb following with many showing their support last night at the glitzy launch party. Make like Emilia Clarke, Laura Carmichael and Hikari Yokoyama and browse the rails for the perfect party outfit. Last but certainly not least, the main reason to visit the Erdem store is of course, the clothes. This season’s upholstery-esque fabrics are gorgeous, while the flat riding boots have been on our wishlist since the show. You’ll be spoilt for choice if you’re ready to buy! As if that wasn’t enough to celebrate the new store opening, you’ll also be able to buy exclusive styles form the pre and main AW15 collection. Perfection.